How do you build a sustainable MLM business in Indonesia? If you are reading this article, chances are you are interested in the potential of a multi-level marketing (MLM) business but are not very sure how to make it work. In this article, I will share some information on how me and my husband built our MLM business and how we generated a constant flow of customer leads using the power on the internet. My name is Lynn and I am a full-time mother and housewife. I am also a professional network marketer meaning I build a MLM business. Me and my husband started our MLM journey back in March 2018 and since then, I managed to build a sustainable income source for myself and my family. Currently, I have my business associates located in countries such as Singapore, Brunei, Hong Kong, Australia, Middle East and also Indonesia. Well, the first step is to partner with the right company and also choose the right core product to promote. 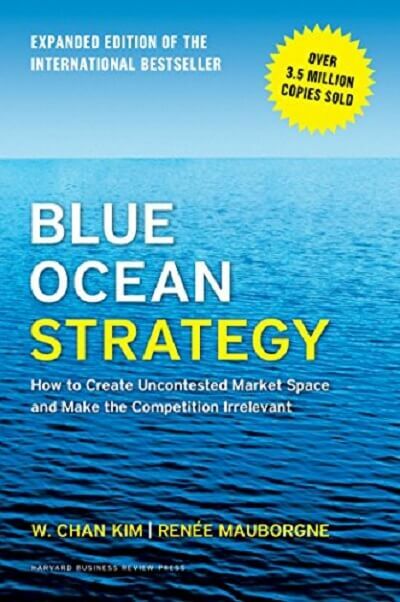 You must utilise the Blue Ocean Strategy to promote your MLM business. I wrote an article about it in the link below. The second step in building my MLM business is choosing a marketing strategy. Me and my husband chose Content Marketing through our blog. In Indonesia, there are many direct selling companies such as Biogreen Science, Qnet, DXN, Amway, NuSkin etc. One thing I noticed, the distributors or the Independent Business Owners (IBO) of the companies above, are not effectively promoting their business opportunity and product using the internet. A lot of the IBOs in Indonesia only post and share on their Facebook page. Only a handful has their own blog or website. I saw a great opportunity here. If you want to build a MLM business in Indonesia, you can use content marketing to promote your business opportunity plan and product through blogging. This strategy is highly effective because there are not a lot of competitors on the web. I have used the same strategy in Malaysia, and blogging has worked very well for me. Now, the main question is how do you get started? How do you setup a blog and what should you write about? If you are interested to learn how to build a stable MLM business in Indonesia by using blogging, click on the link below to contact me through my WhatsApp number. Let’s have a chat and I’ll share more with you.